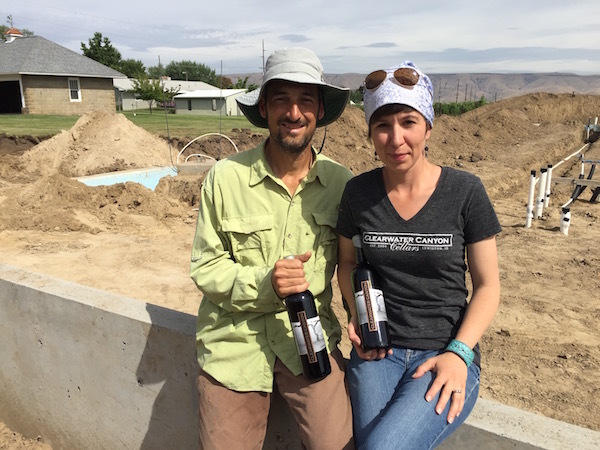 LEWISTON, Idaho – If Idaho winemakers Coco Umiker and her husband, Karl, had their way, the estate planting for their award-winning Clearwater Canyon Cellars would be named Nichols Vineyard. During Friday’s state ceremony declaring Nichols Family Farm an official Idaho century farm, Coco joked while describing why her grandfather, the late Ralph E. Nichols, pushed hard in the direction of Karl’s surname. Earl Bennett, trustee of the Idaho Historical Society, and the 40 or so family and friends attending the ceremony in the Lewiston Orchards roared with laughter. Nichols died in 2011 at the ripe age of 96. 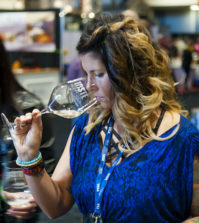 By then, Clearwater Canyon Cellars was seven years old and on its way to becoming one of the top up-and-coming wineries in the Pacific Northwest. Last month, their flagship wine – the 2013 Selway Red Wine – merited a double gold medal and 97 points at the 2016 San Francisco International Wine Competition. A year ago, Wine Press Northwest magazine named Clearwater Canyon its Idaho Winery of 2015. Friday’s celebration also included an overview of the 5,000-square-foot winemaking facility the Umikers are building on the Nichols Family Farm, which includes 6.5 acres of vines just a stone’s throw from their patio. 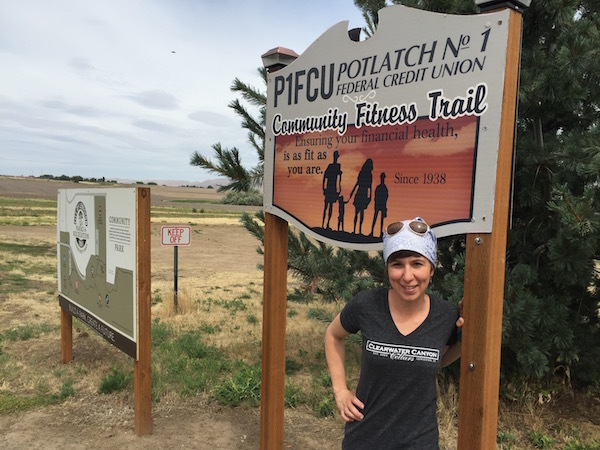 Nicole “Coco” Gardner grew up in Boise, but she spent much of her childhood summers at her grandparents’ farm, which spanned 560 acres in 1916. Ralph E. Nichols was just 1-year-old when his Iowa-born parents purchased the wheat and cattle ranch for $25 an acre. To hear her family tell it, the precocious Coco enjoyed a special bond with her grandfather that helped inspire her desire to farm grapes, study biochemistry at the University of Idaho in nearby Moscow and earn a doctorate in food science at Washington State University. That kinship, as well as the relationship Coco and Karl enjoyed with the late Bob Wing, a regionally renowned wine writer/meteorologist in Lewiston, seems ever-present in the day-to-day life for the Umikers, their Clearwater Canyon Cellars operation and Umiker Vineyard. Just beyond Karl and Coco’s back porch are vines Nichols helped the Umikers establish in 2003. “We tried to name it Nichols Vineyard, but he told us, ‘You put the work into it, you bought everything that went into that vineyard. It was your money, your sweat and tears,’ ” she said. 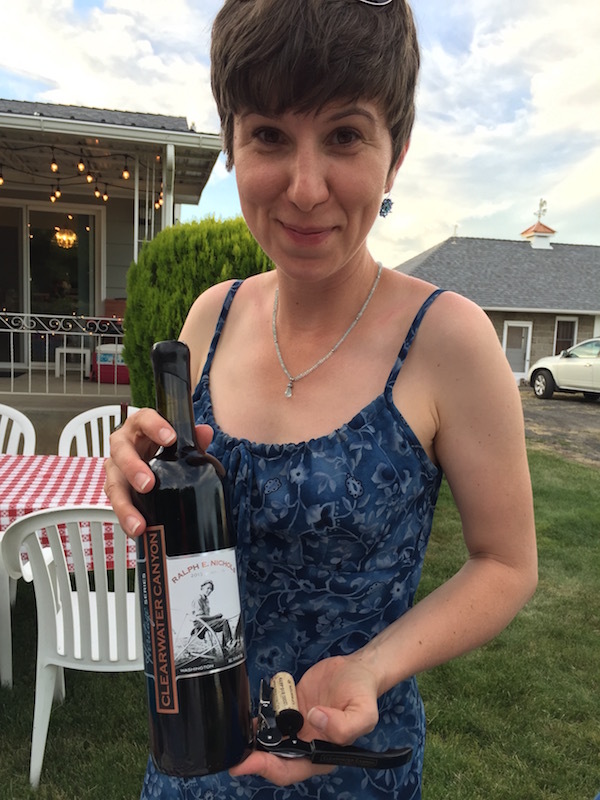 At the family barbecue Friday night, Coco toasted the gathering on what once was known as Nichols Hereford Ranch with a bottle of the Clearwater Canyon Cellars 2013 Heritage Series Ralph E. Nichols Red Wine, a club release long since sold out. 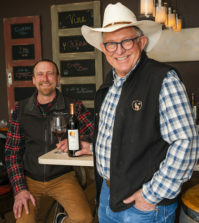 About 40 percent of Clearwater Canyon Cellars’ production now comes from the Nichols Family Farm, which includes Cabernet Sauvignon, Merlot, Syrah, Cabernet Franc, Petit Verdot, Chardonnay and a bit of Muscat Canelli and Orange Muscat. 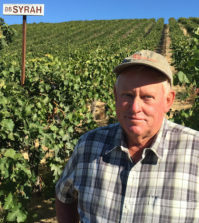 Nearly 80 percent of their wines are made with fruit the newly established Lewis-Clark Valley American Viticultural Area, a petition the Umikers helped spearhead. The Umikers still were in college – involved in graduate-level research, teaching or both – when they launched Clearwater Canyon Cellars in 2004 with three other couples. Three years later, production moved from the hills above downtown Lewiston to an industrial park across the Clearwater River. This summer, six years after they bought out their partners, the Umikers are building an estate winery on Nichols Family Farm. There is an outside chance that construction of the 5,000-square-foot production facility will be complete by the end of harvest for the 2016 vintage. The Umikers not only are excited about being more hands-on with the award-winning lineup of wines, but also the additional convenience and safety surrounding their 3,000-case production. The new winery and small tasting room for Clearwater Canyon Cellars won’t be ostentatious. After all, Ralph Nichols’ winemaking granddaughter is too practical for that. A later phase of Clearwater Canyon Cellars has the Umikers turning the circa 1919 carriage house built by Coco’s great grandfather into a tasting room. Bennett said the white concrete block garage is a strong candidate to qualify for the National Historic Register. “We ought to be able to get it done,” Bennett said. Bennett, the historian and a retired geologist, referenced those dark days during his presentation Friday to the Nichols family. 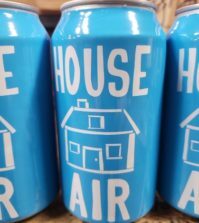 By that point, the region had established what perhaps was the Pacific Northwest’s largest wine industry with three estate wineries and more than 200 acres of vineyard. Washington state vintner/author Ron Irvine, who wrote The Wine Project with Walter Clore, estimated the combined production for those three wineries at more than 60,000 cases. It will be some time before the Lewis-Clark Valley reaches those levels again. At this point, there are 16 vineyards growing a combined 80 acres of wine grapes. The spirit is there, however, and tourism is growing, evidenced by American Cruise Line paddlewheel boats that connect Portland with Clarkston. 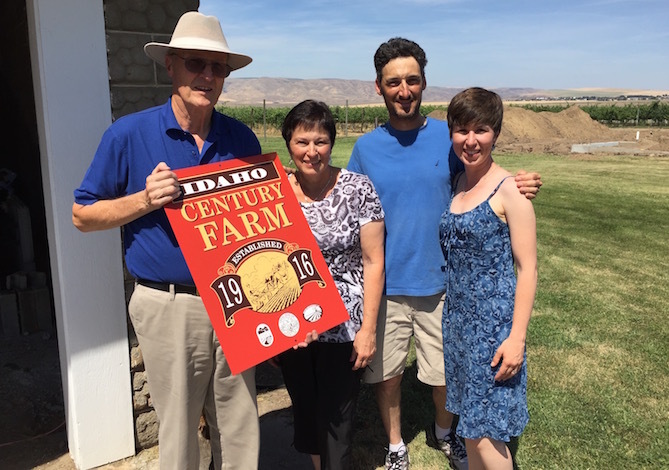 The origins of the Idaho century farm designation stem from the Gem State’s centennial celebration in 1990. “The Idaho Department of Agriculture initiated a program to recognize the importance of Idaho’s farming pioneers by designating farms or ranches that had been in the same family for at least a 100 years that included 40 acres or more of the original land parcel as century farms or ranches,” Bennett said. In the nearly three decades since, the Idaho Historical Society has recognized more than 400 century farms, with 20 of them in Nez Perce County. Bennett said Gov. Butch Otter, a rancher, asks for the background of each farm and signs each certificate, including the one given to the Nichols family. “The disappearance of the family farm makes the award that we are giving this afternoon all the more important and significant,” Bennett said. And the Umiker-Nichols clan, thanks in large part to the crop-sharing Kaufman family, is helping to diversify farming in this historic corner of the Northwest. Bennett pointed out that many century farms now are led by highly educated descendants. Karl Umiker earned a master’s degree in soil science. Coco focused her Ph.D. on winemaking research, specifically brettanomyces yeast. Kaufman brothers Steven and Jeff received agriculture degrees from the University of Idaho. 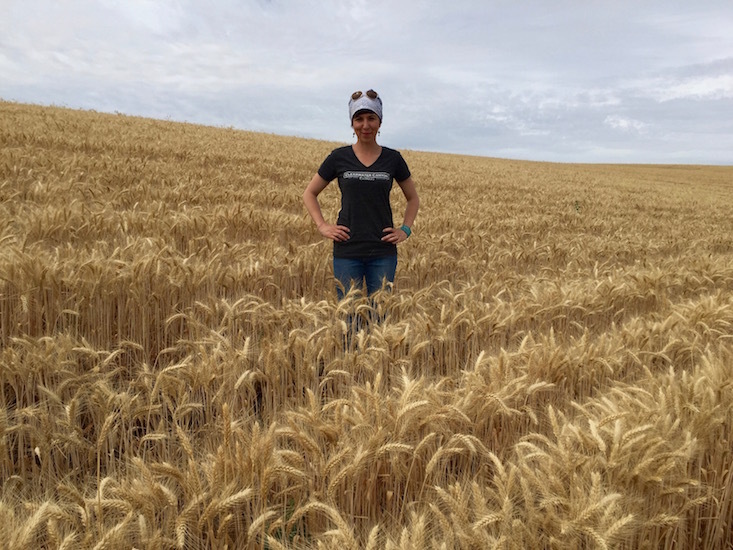 “Grandpa helped us plant that first quarter acre (of Merlot) in 2003, and that was the beginning of the next century here on the farm with vineyard, the Kaufmans and this diversified farm with wheat and grapes,” Coco said. Ralph Nichols left a civic legacy, too, selling 310 acres of the farm to the City of Lewiston for a community park, a walking path that rings the wheat ranch farmed by the Kaufmans and the future home a new Lewiston High School. City and school officials knew private developers offered to pay Nichols more for the land. Coco’s mother, Mary McQuary, pointed out that Ralph’s 101st birthday would have been July 2 – the day after the century farm presentation.